A really big yard ornament. So many of the loggers I know have big personalities. It only makes sense that they might have a little something that makes a big statement, or in this case a BIG something that makes a BIG statement. 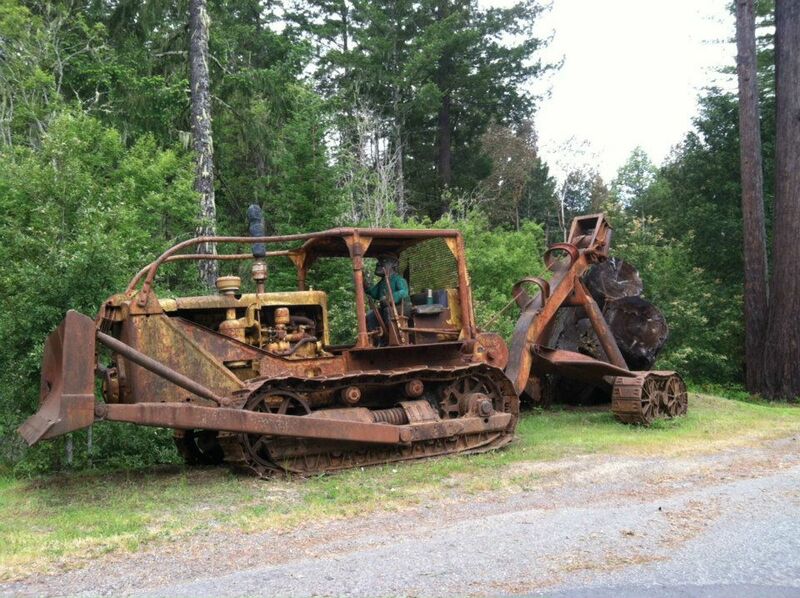 Why not have a vintage skid cat complete with logs and a chainsaw carved equipment operator of redwood. This entry was posted in Art In The Forest And Other Oddities and tagged art, chainsaw carving, dozer, forest, logs, lumberjack, photo, photography, timber, yard art by foresterartist. Bookmark the permalink. You need a big yard for that yard ornament. You do – but you got to love the courage and ingenuity that went into the creative process. Yes, when I least expect it BOOM there it is. Artistic creativity can be anywhere you look. Indeed, I don’t think that skid of logs will ever reach the landing. Well, we should all dream BIG, don’t you think?